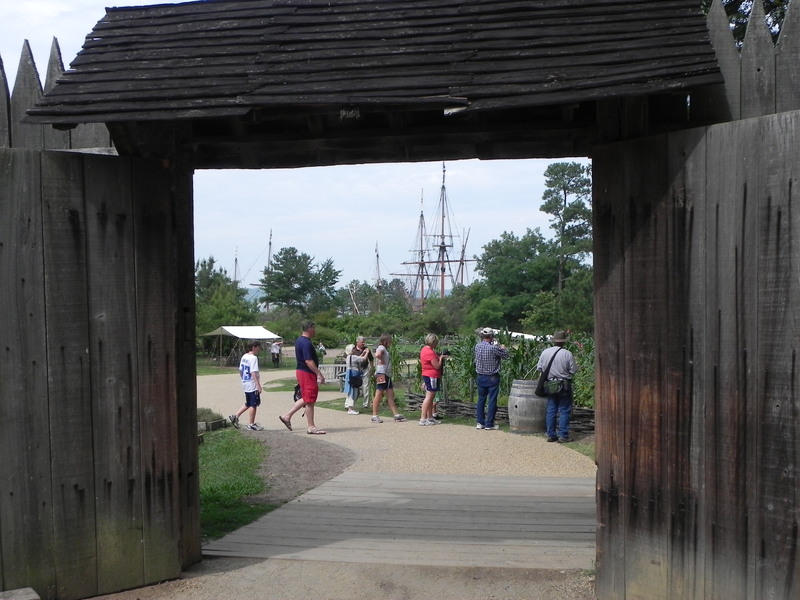 Since we were all exploring Williamsburg on our own, buses took our tour group first to Colonial Jamestown. Unfortunately, Jamestown is divided into two enclaves (one has to decide which one you wish to see): the Virginia site or the federal site. 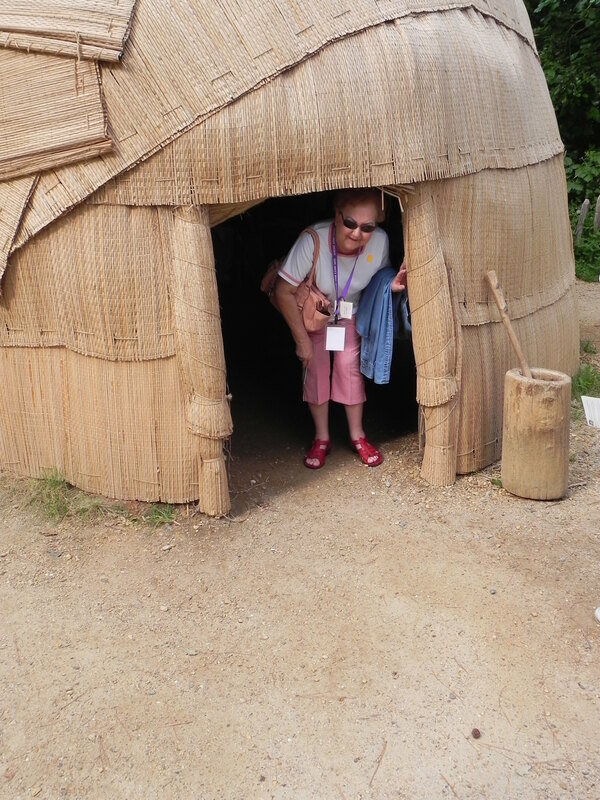 Our bus took the main group to the Virginia site, where there is an exceedingly impressive museum, as well as the reconstructed 1607 fort, Indian village, and ships the settlers traveled in from England. 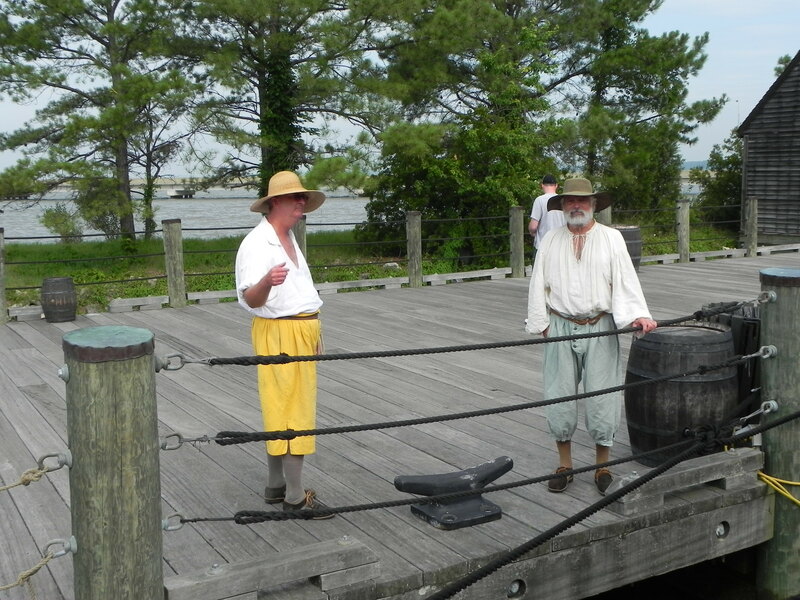 At the ship docks, re-enactors in period costume filled us in on the significance of what we were seeing. It boggled the mind to imagine so many passengers jammed into such cramped quarters for months at a time, with no sanitary facilities, mighty few beds, inadequate food with no kitchen or dining facilities. No bathing facilities, no air-conditioning or heating. The stench must have been awful! 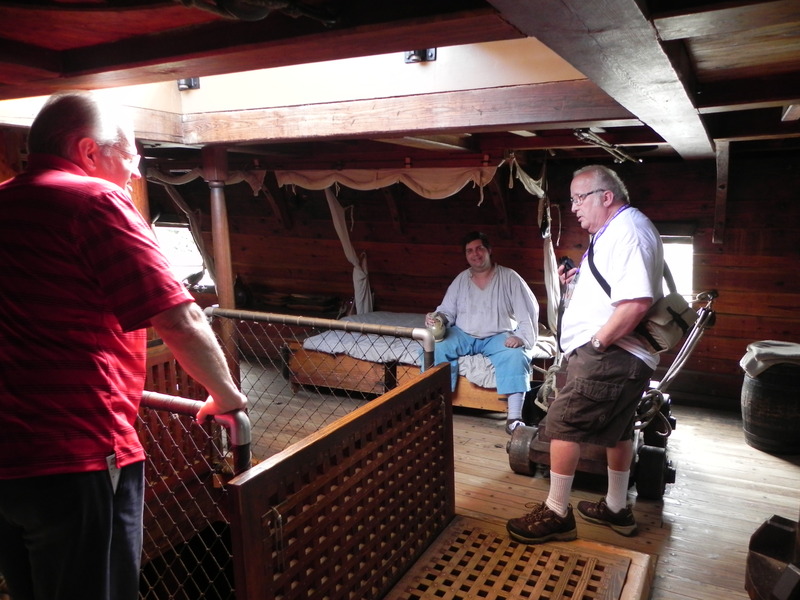 Life in the Jamestown fort was re-enacted in the same way. 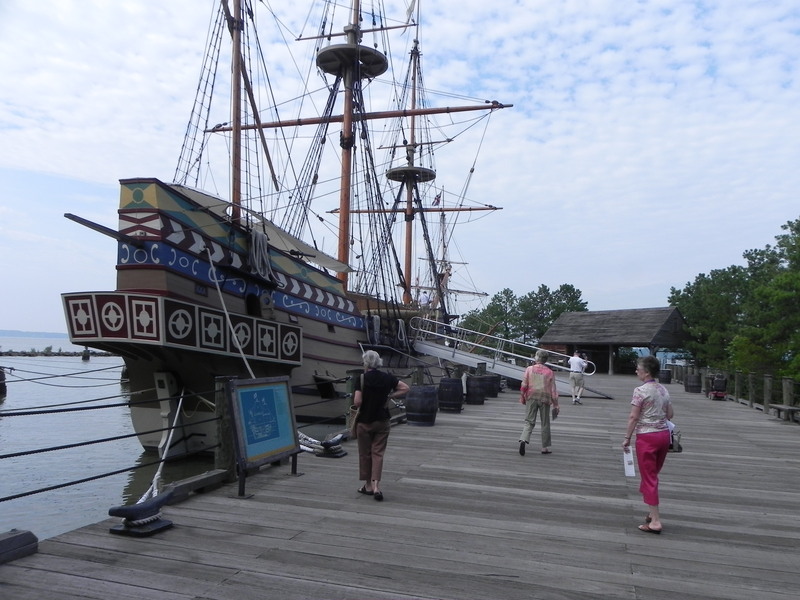 Many of our group went back to Federal Jamestown later. Here is where the real action is taking place today. For centuries, it was believed that Old Jamestown was buried somewhere under the James River, thus Americans could only speculate on what life was like there in 1607 and during the terrible years that followed, when so many died in Indian attacks and from disease or malnutrition. 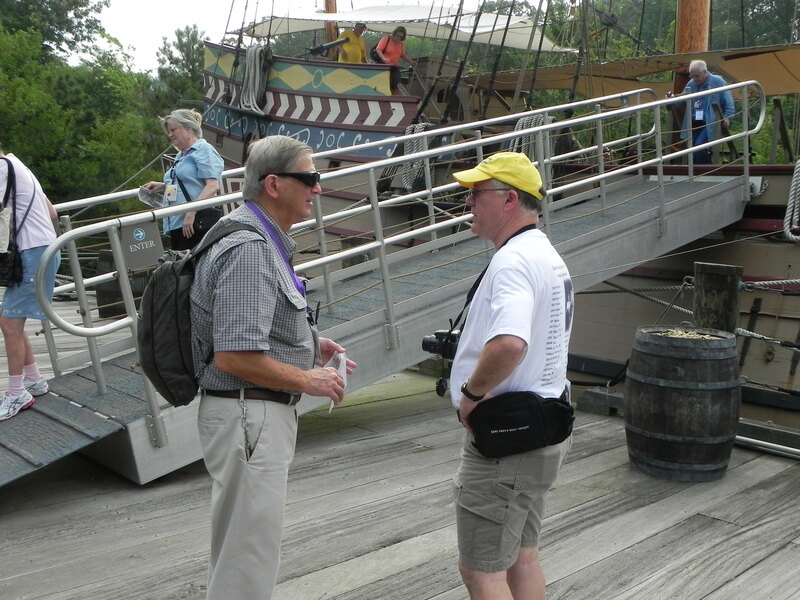 But then came the groundswell of renewed interest in the history of Jamestown during the period leading up to the 400th anniversary of the founding of Jamestown. According to William M. Kelso (the head archeologist for the Jamestown Rediscovery Project), in his recent book, Jamestown: The Buried Truth (Charlottesville and London: University of Virginia Press, 2006), there was just enough doubt as to whether all vestiges of the original fort and site were gone forever to see for themselves if it was true. Kelso had been working on the site clear back in 1955, just before the 350th anniversary. A lot had been unearthed by archeologists since, but not the original fort. Finally, they struck pay-dirt, by digging out one 10-foot-square section at a time. 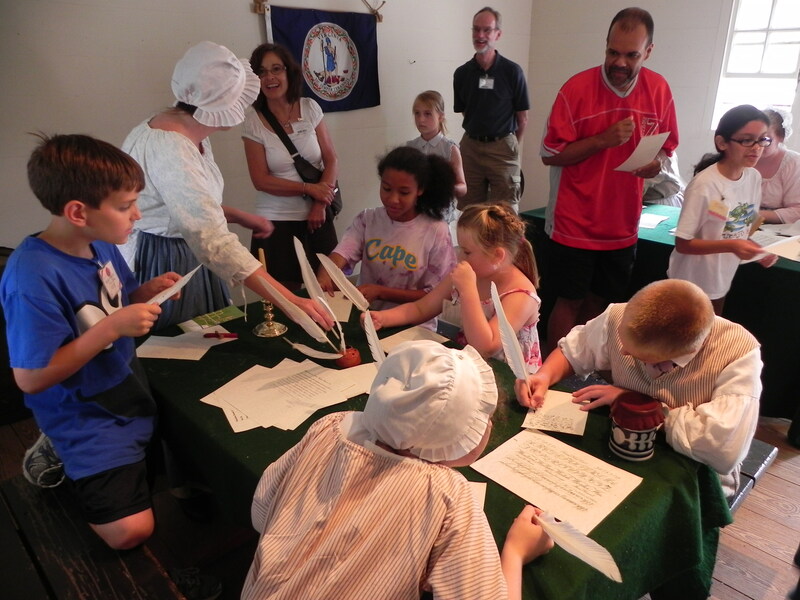 Slowly, painstakingly, they are uncovering the history of the very beginnings of our nation. They found the fort! Connie visited the dig Thursday afternoon with Earps and Riffels and were there soon after an archeologist unearthed a piece of pottery! 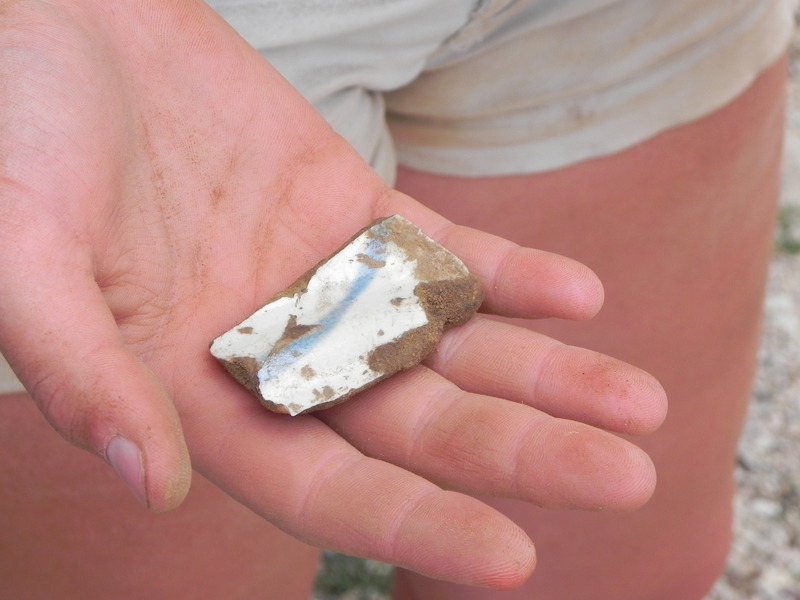 Over 700,000 artifacts have been unearthed so far! As to its significance, Kelso writes, “The excavations at Jamestown have turned up more evidence than anyone had expected – most important, the site of James Fort, so long thought unrecoverable. Nor are these physical remains the only treasure to be discovered. The soil has yielded a new understanding of the early years of Jamestown; a new picture of its settlers, of their abilities, their lives, and their accomplishments; and a new story of the interdependence between the English settlers and the Virginia Indians” (Kelso, 7). It is no hyperbole to say that the most exciting place to visit in America today is the ongoing Jamestown dig. Next time you visit that part of the nation, by all means take the time to see what’s happening for yourself. 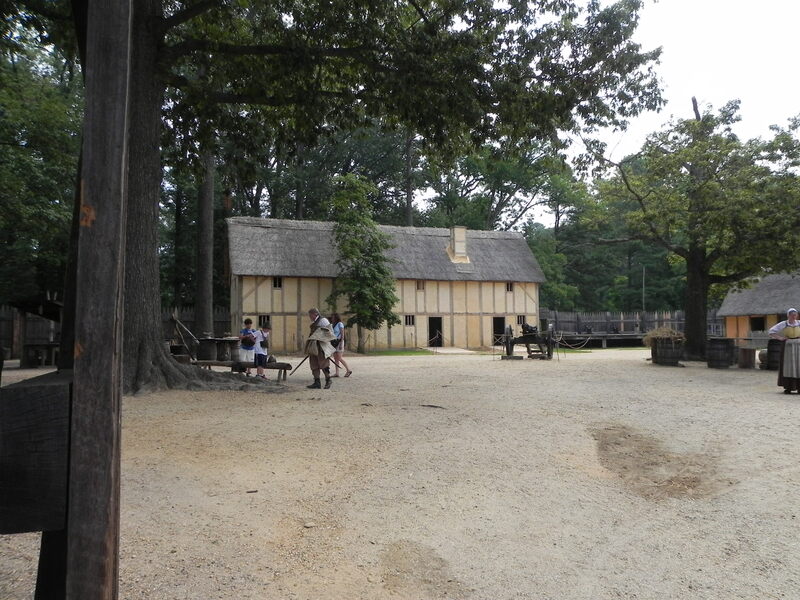 It was fascinating to see that even in the Virginia re-creation of the James Fort, results from the Jamestown archeological dig is causing them to restructure the placement of buildings within the fort, for archeologists have even discovered the exact placement of postholes! 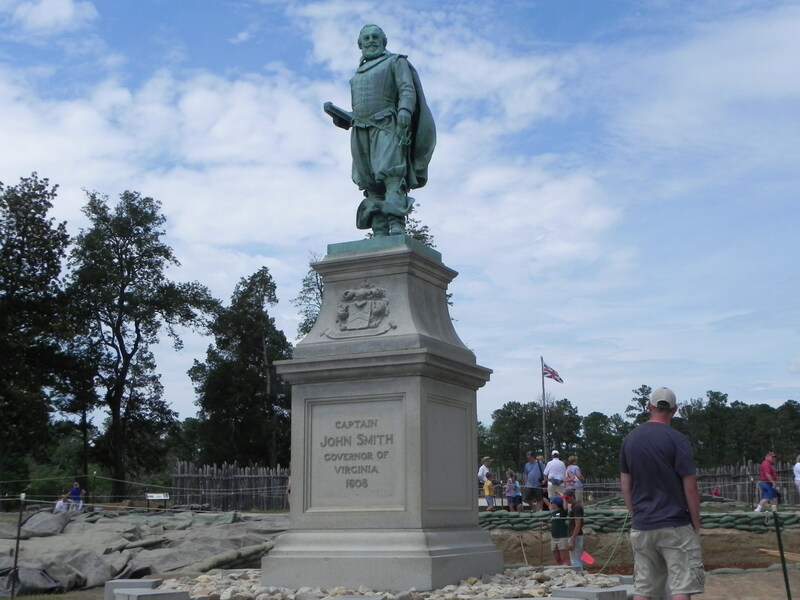 Captain John Smith, famous Jamestown governor and military leader. Next Wednesday, we shall conclude our coverage of the convention. On July 4, 1776, American patriots signed the Declaration of Independence from Great Britain. War was declared. For five long years, George Washington led his ragtag army in battle with the well-trained British forces. More often than not, Washington was defeated in these clashes, but each time managed to escape. It was a battle-weary people, with little in the way of good news to cheer them up, that faced the definite possibility—even probability—that they would lose to the world’s greatest superpower that September of 1781. But there was a wild card in the deck: France, Great Britain’s fiercest enemy. It was a global war the two nations fought, thus Britain was not at liberty to further weaken the global war by allocating more warships and troops to the American rebellion than it already had. France took advantage of this golden opportunity to embarrass its enemy by sending a fleet to the rescue of the American rebels. The French Admiral Comte de Grasse proceeded with his entire fleet of 24 ships from the West Indies to the Chesapeake Bay. Meanwhile, sailing from New York, Admiral Thomas Graves with 19 British ships left New York. On September 5, at Virginia Capes, the two forces collided. Because of being becalmed (no wind to propel them), their fighting was indecisive. Then, reinforced by additional vessels and siege guns from Newport, R.I., the French sailed back into the Chesapeake to take final control of the Yorktown Harbor. During late summer of 1781, the Marquis de Lafayette (serving under Washington) had so harassed Cornwallis’s troops that he’d been forced to retreat from Wilmington, N.C. to Richmond, VA, then Williamsburg, and finally, near the end of July, to Yorktown, which he proceeded to fortify. Lafayette’s forces, now totaling 8,000 troops blocked Cornwallis from escaping anywhere by land. Cornwallis’s army of 7,000 kept waiting in vain for the British reinforcements to arrive. Under the naval umbrella of the French fleet, Washington dramatically moved 7,000 additional Franco-American troops from New York to Virginia. But Cornwallis’s last hope, Thomas Graves, felt he had no alternative but to return to New York after the stand-off at Virginia Capes. As a result of this, after strategizing with British General Sir Henry Clinton, a British rescue fleet, two-thirds the size of the French, set sail from New York on October 17 with 7,000 British troops. But it was too late: Bombarded by the French fleet on one side and 16,000 allied troops on land, Cornwallis surrendered his entire army on October 19, thus assuring victory to the allied forces. In short, without the French, quite possibly we’d still be part of the British Commonwealth today, like Canada. As our bus pulled into the Yorktown Museum, I felt I’d finally learn the entire story. Instead, I was disappointed: nowhere in all the displays and dioramas was the full story told, nor was it told in the film. Indeed, it was only on returning home and researching for this blog that I turned to the Britannica Encyclopedia and got the full story. 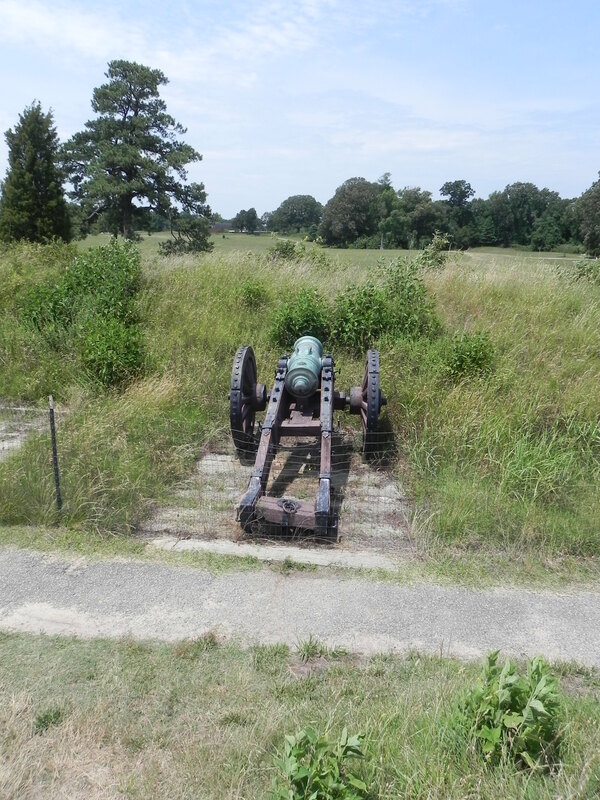 Now, if I were to return to the Yorktown Battlefield, which our folk visited that Wednesday, I’d know what the significance was of the fortifications we rather blankly gazed at. 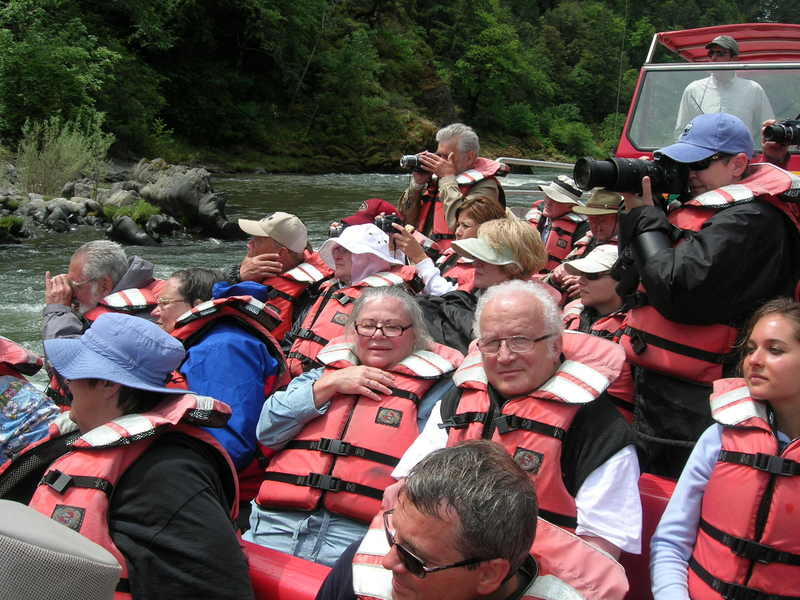 Wednesdays have traditionally been field trip days for the Zane Grey’s West Society – a time to explore places we might not otherwise see and experience were it not for opportunities such as these. Almost everyone signed up. Unlike most travel organizations and cruise ship lines, we keep the costs associated with our conventions down as low as possible. Our Wednesday field trip, for instance, costs attendees almost exactly what the Society pays for it. Lodging prices are also kept low. 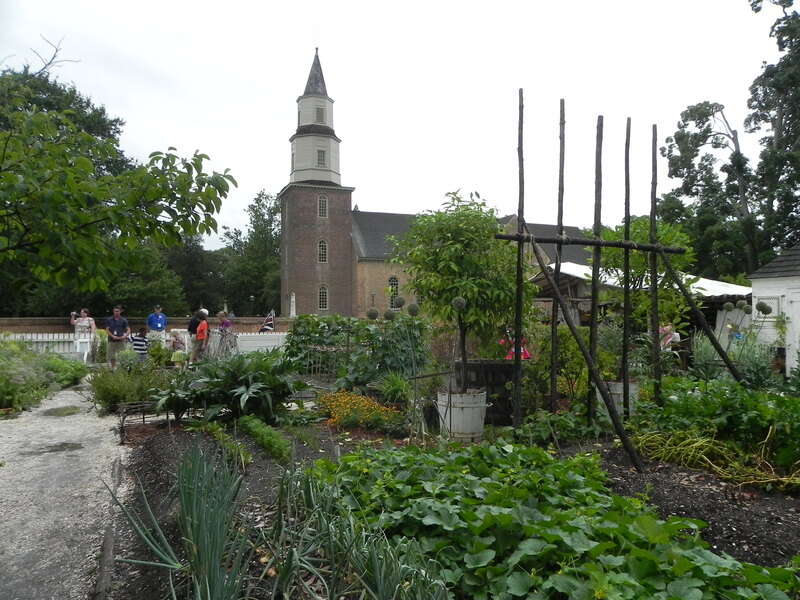 This year, since the Woodlands Hotel where we stayed (and held our meetings) adjoined Colonial Williamsburg, we needed no guided tour because our members were able to walk into it and back, or take the free shuttle. Most any time we weren’t in meetings, attendees would be exploring that wonderful old capital of Virginia. A good share of the buildings feature people in colonial costume who guide you through the period rooms and show you how different life was back then. 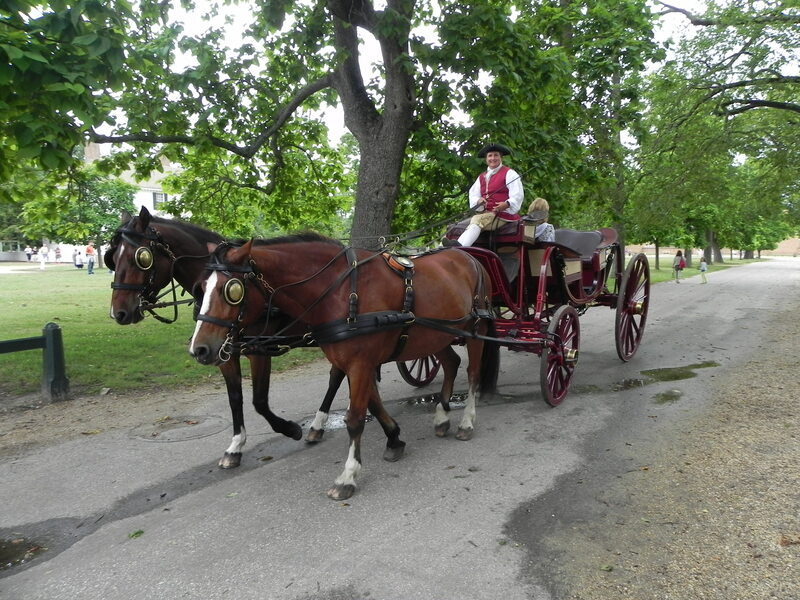 No vehicle traffic is permitted in the Old Town – only horse-drawn carriages. 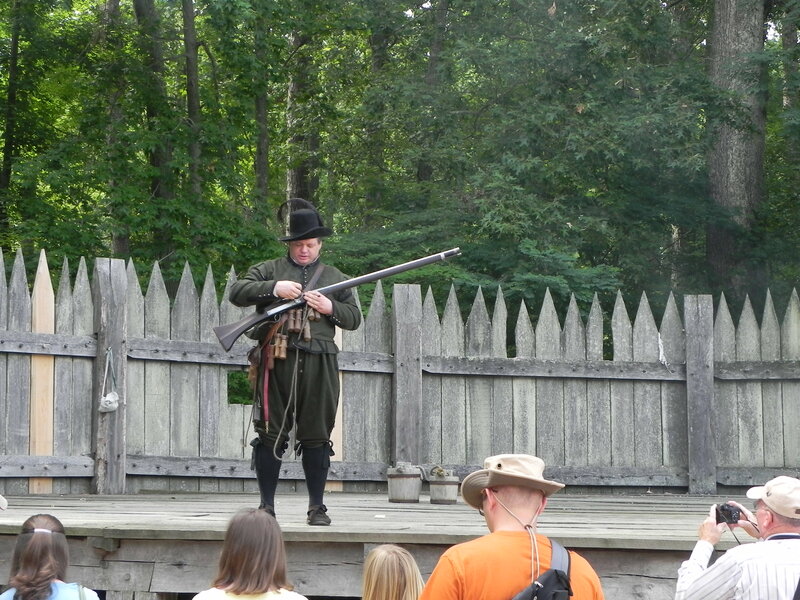 Williamsburg (originally named Middle Plantation) was first settled in 1633, 26 years after Jamestown. The College of William and Mary, third oldest college in America, was founded here in 1693. In 1699, after the burning of Jamestown, Williamsburg became the capital of Virginia. It soon became the political, social, and cultural center of the colony. Williamsburg thrived until the capital was moved to Richmond in 1782. After the center of Virginia government left it, Williamsburg was all but forgotten for almost 150 years. Most likely it would have been lost forever had it not been for the vision of the Rev. William A. R. Goodwin who originated the idea of restoring it. In 1926 things really began to happen when Goodwin persuaded the philanthropist John D. Rockefeller, Jr. to sponsor the project. Since then, more than 3000 acres of land have been acquired and nearly 150 major buildings restored or reconstructed. The Capitol and Governor’s Palace are furnished as they were in the 18th century, and the entire area is landscaped as it was in colonial times. 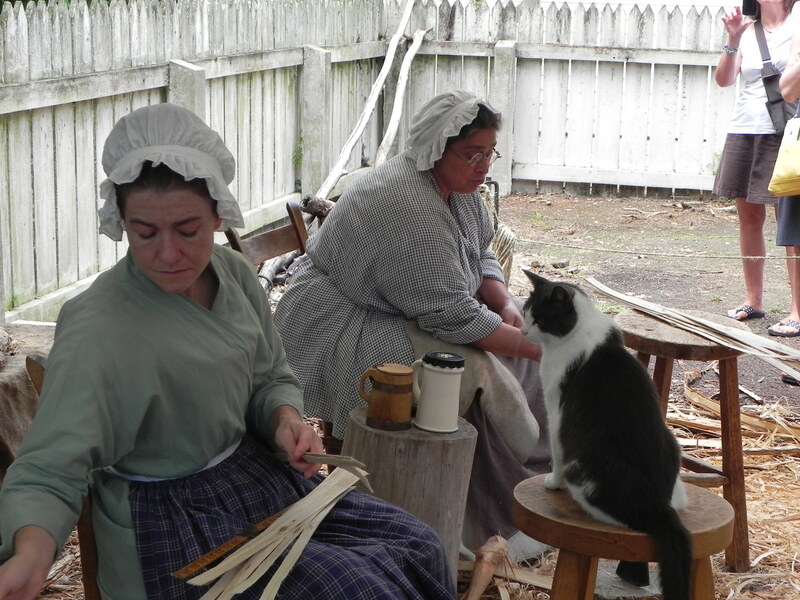 Hostesses, craftsmen, militiamen, and attendants are costumed in the style of the period. Today several million people a year come here to relive colonial days. 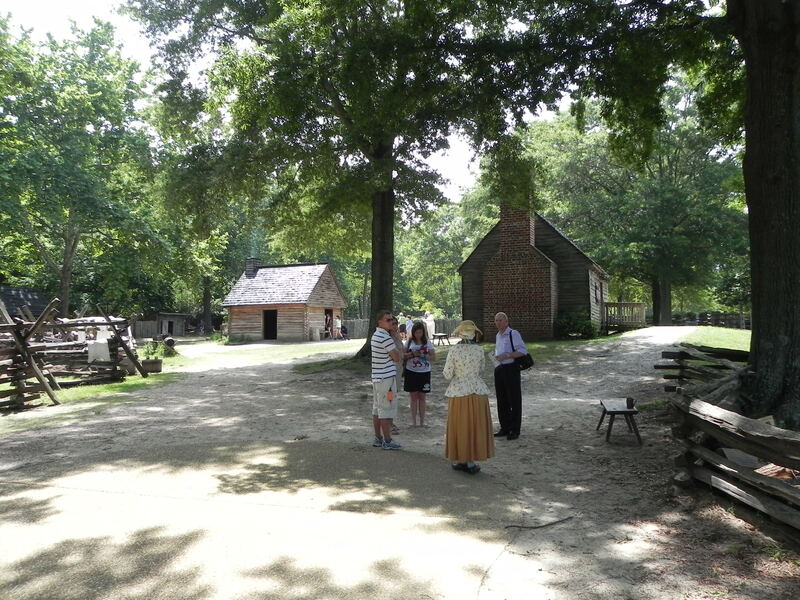 Next Wednesday we’ll explore Old Yorktown. Every four or five conventions, we go east rather than west. Williamsburg it was this year—with Jamestown and Yorktown making up the triangular cradle of the American nation. 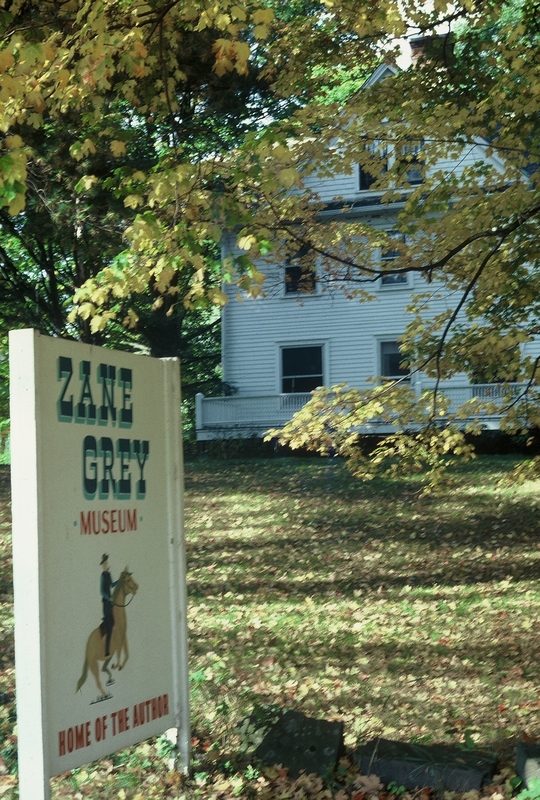 Once upon a time, in the not very distant past, Zane Grey was a household name across America. In fact, during the first half of the 20th century, Grey was the world’s most popular and highest-paid author. He is generally considered to be the Creator of the Romantic West and the Father of the Western Novel. But today, with reading in decline along with literacy in general, with young people literate in little other than popular culture and sports, with plunging national test scores in history, it should come as little surprise that few people under the age of 50 recognize either his name or his books. We in the Zane Grey’s West Society seek to do our part to help reverse that sad state of affairs. We don’t want the love of the West to die out when we step off the stage of life. Four-hundred years ago, Virginia was the wild West; 250 years ago, the Ohio Valley wilderness was the frontier. It was during this time period that one of Grey’s ancestors, Betty Zane, became a Revolutionary War heroine when she risked her life in order to race across a clearing, a sack of gun powder on her shoulder, as a desperate act to save Fort Henry (commanded by Col. Ebenezer Zane, her brother) and those settlers within who were being besieged by French and Indian forces. Since those besieged were out of gunpowder, they were doomed unless by some miracle they could contrive to secure some gunpowder. Not surprisingly, when Grey grew up and began to write, Betty Zane (a novel based partly on that heroic dash) would become his first published book. Three more novels set in America’s second West followed: The Spirit of the Border, The Last Trail, and George Washington, Frontiersman. George Washington was well acquainted with the Zane family. In fact, after the Revolutionary War was over, George Washington and the Continental Congress authorized Ebenezer Zane and his brothers to blaze a trail into the wilderness, on the west side of the Mississippi. That route was first known as “Zane’s Trace,” then the National Road, then Highway 40, and today Interstate 70. All this family history was reason enough for us to meet in Williamsburg the third week of June this year. I’m often asked the question, “What do you do in your conventions?” Let me walk you through to give you the answer: first of all, we drive to, take a train to, or fly to, wherever a given convention might take place. Traditionally, the convention begins on a Monday evening, consequently you’d expect everyone to arrive sometime Monday. NOT. A number arrive by Friday, and fully half generally check in by Sunday. Our Zanies so enjoy being together that they can’t wait to catch up on the intervening year. Registration takes place Monday afternoon, as does the process of hauling books or memorabilia to the room chosen to house the auction items until Tuesday afternoon. Most everyone brings items since without that annual transfusion of funds, we’d have to dramatically raise our dues (we’ve only raised them once in 29 years!). The only way we’ve been able to pull that off is to all serve pro-bono. There is no paid anyone in the entire Society. For all of us, serving is a labor of love. Monday evening is the barbecue or opening banquet. Since there’d been a lot of rain, this time we held a banquet inside. No one sits alone—our members make sure of that. After being welcomed by our president, Terry Bolinger, dinner is served. Afterwards, Terry had all the new attendees stand, introduce themselves, and tell where they’re from. These introductions accelerate the getting-acquainted process. 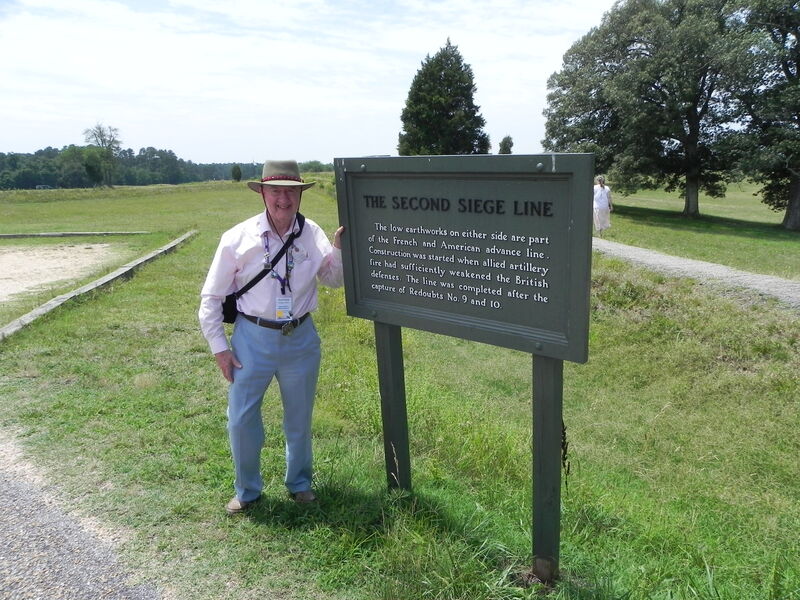 Next came the introduction of James Perry, Public Affairs Officer for the three parks we were visiting this convention: Williamsburg, Jamestown, and Yorktown. He welcomed us to the colonial triangle and filled us in on what we ought to look for. Afterwards, Dr. Jim D’Arc, Director of Film archives for Brigham Young University, took us behind the scenes of the famous movie he’d brought along: Drums Along the Mohawk (1939), produced by Darryl F. Zanuck, directed by John Ford, and in the cast: Henry Fonda, Claudette Colbert, and Edna May Oliver. Sometimes the films Dr. D’Arc brings are shown on evenings other than Monday. After a short break, we reconvened. 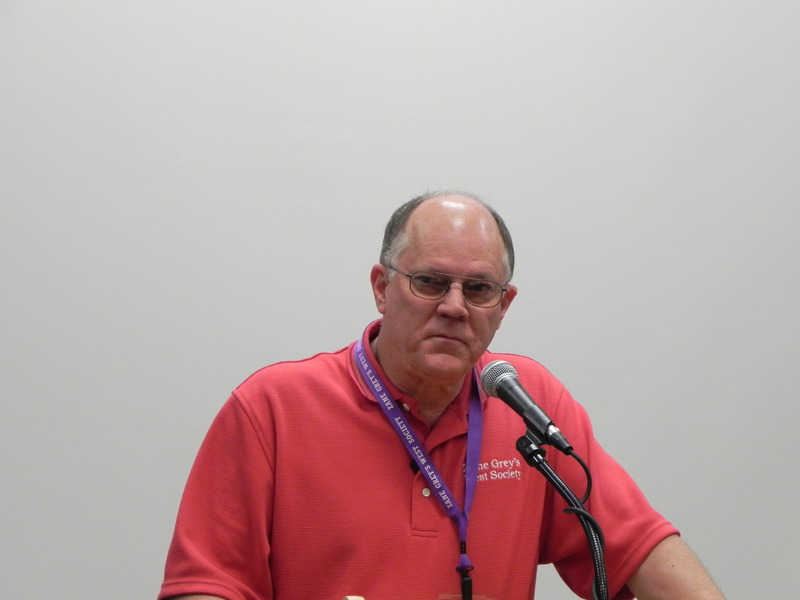 After preliminaries, I was introduced, and I gave my 29th convention keynote address. 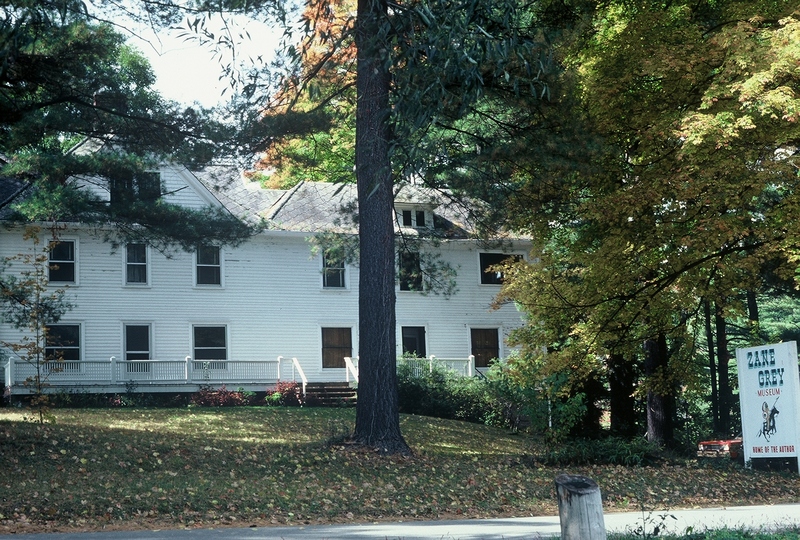 This one was titled, “Bridge Over Troubled Waters,” and had to do with that traumatic six-year period (1982 – 1988) when it appeared that the Lackawaxen, Pennsylvania home of Zane and Dolly Grey would be lost to the wrecking ball. 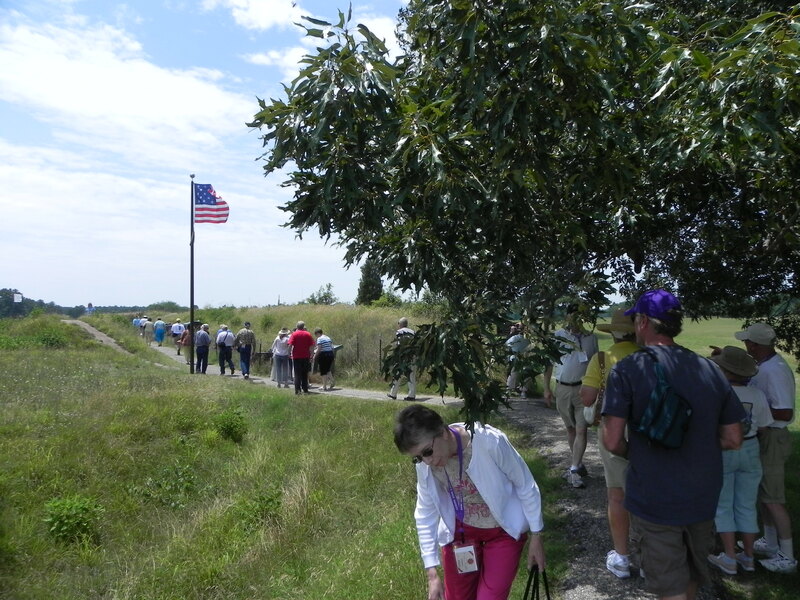 Few of our attendees had ever heard before the story of how the miracle of it ended up in the National Park System took place. This was followed by Dorothy Moon, head curator of the Lackawaxen Museum, who filled us in on all the fascinating things that were happening there. 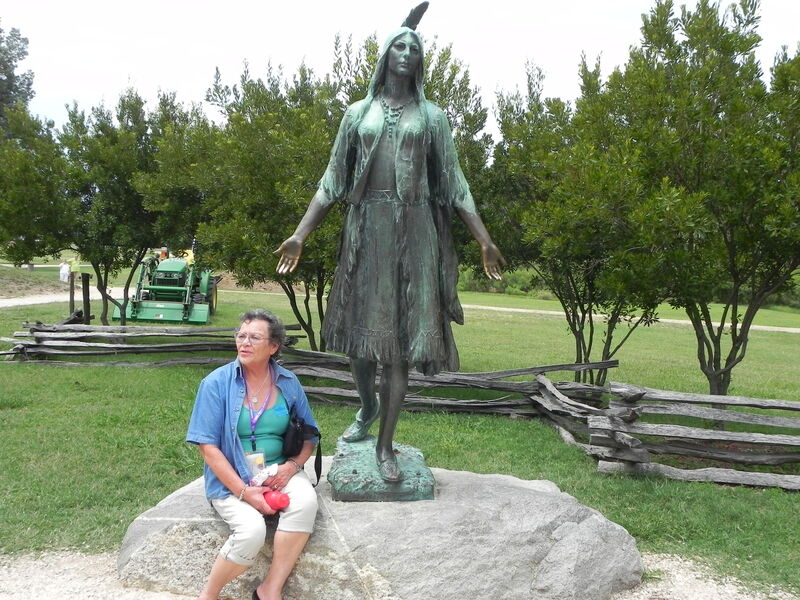 She in turn was followed by two representatives (Joanne Duncan and Kathryn Miller) from the National Road/Zane Grey Museum in New Concord, Ohio, who also brought us up to date on that facility. It has been mighty tough for them because the recession has hit Ohio so hard. 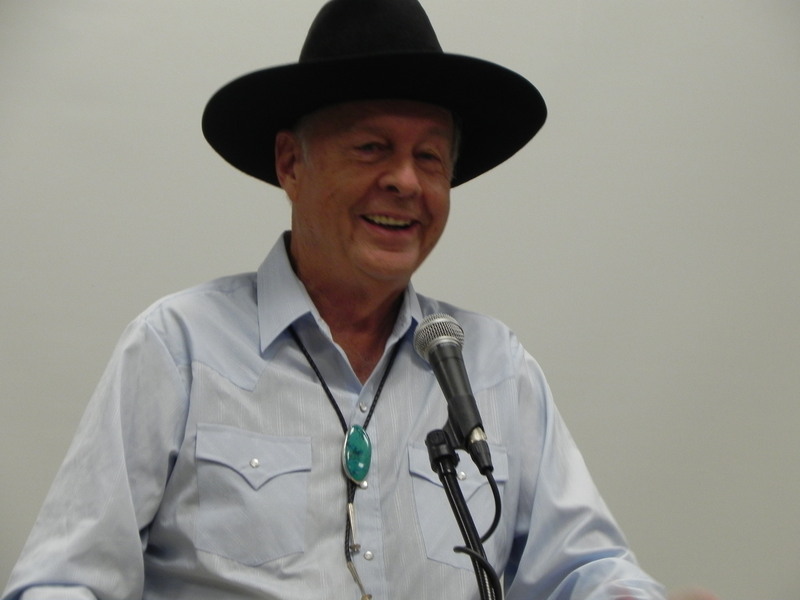 In the afternoon, a good share of the attendees gathered to participate in the annual auction. Since so much is riding on the income derived from it, I encouraged everyone to get into the act. Besides the regular auction, there was also the opportunity to bid on a large number of silent auction items. In the evening, many returned for Huckster’s Night (an opportunity to hawk items you’d rather sell than have to haul home). Others took the evening off, a number eating in colonial restaurants in Williamsburg—complete with staff in colonial costumes. Next Wednesday, we’ll explore Old Town, Williamsburg.